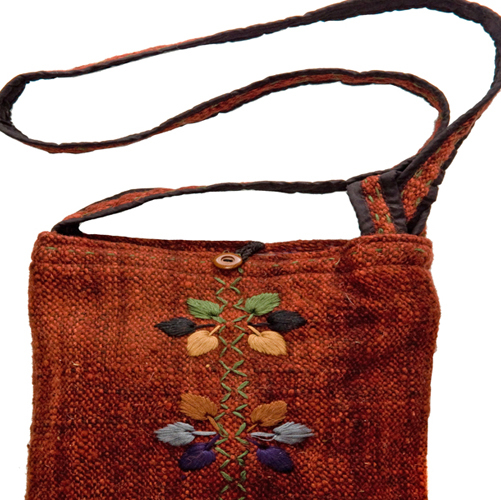 All natural, hand craft purse is 100% wool and is fully lined with 100% cotton. 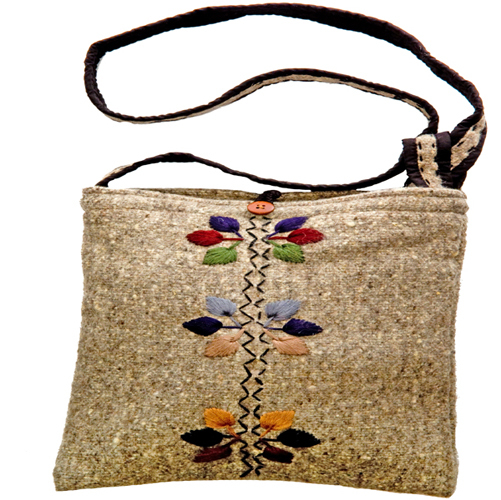 Embroidered with three flowers adorn the bag, button closure with inner zippered partition. The shoulder strap can be adjusted.